What are “elastics” and will I have to have them? Elastics hold the wire in position on a fixed brace. Clear elastics may have to be worn between arches to align jaws; note, usually only applies to children. Can I have a coloured Brace? NHS orthodontic patients can choose to have coloured elastics. Moderate to severe crowding of teeth usually requires the extraction of teeth. 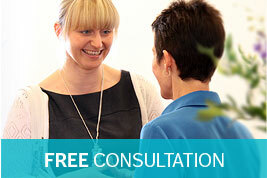 You will be informed of the need to remove teeth at your consultation visit. Why are my child’s teeth so crowded? Teeth can be over crowded due to a combination of genetic and environmental factors such as thumb sucking. Can I have after school appointments? NHS appointment times are between 9am and 3.30pm. 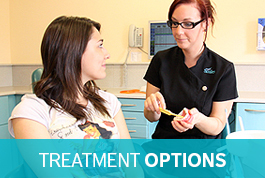 We occasionally have appointments between 3.30pm and 4.30pm for routine adjustment of intact braces. To guarantee after school appointments we recommend you are seen privately. How do you put on a fixed brace? Brackets are glued to the surface of each tooth. A wire is then attached to each bracket with elastics. Can I wear a gum shield with my brace? Yes, special gum shields are available; these should be worn for all contact sport. Does it hurt when the brace is taken off? No, special instruments are used to remove brackets and the excess glue is polished off. I’ve broken my brace – what should I do? My child doesn’t qualify for NHS treatment, is it worth considering private treatment? 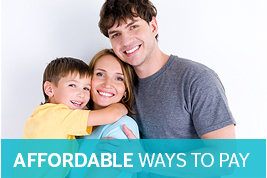 Yes, we offer a discounted rate for children who attend within NHS appointment times. My child qualifies for NHS treatment but I don’t want them to miss any school time what options are available to me? To guarantee appointment times out of school hours you will need to pay for private treatment. I don’t want a brace but Mum says I’ve got to have one. What happens? It isn’t compulsory to have a brace. You need to be motivated and committed to your treatment. If you’re not your treatment may prove difficult and in some instances may not be completed. We recommend talking things through with your parents both at home and in the surgery and only starting treatment when you’re happy to proceed.